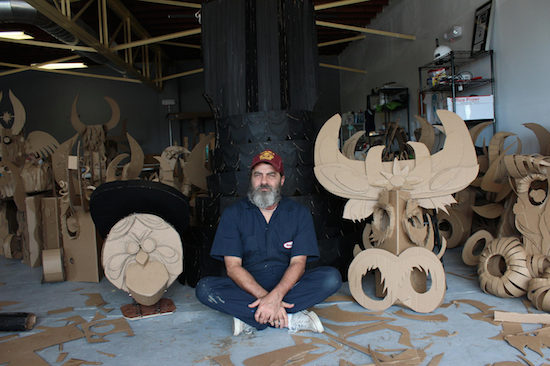 In celebration of his ten day residency in Wichita for Riverfest, Wayne White has been hard at work building a cardboard herd of cattle, cowboys, and other characters from Wichita's history. Wayne will lead the puppet parade tonight, May 29, as part of Riverfest's Sundown Parade. 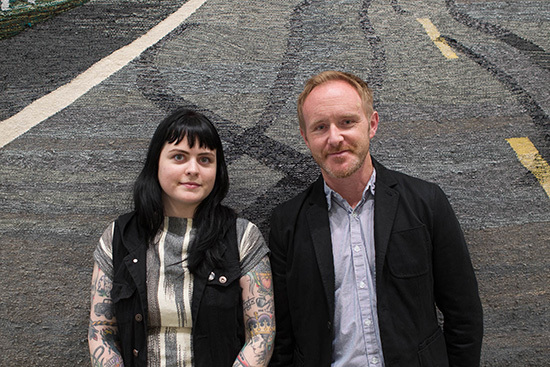 The artist spoke to KMUW Wichita Public Radio about the ten day project, you can listen and read all about it here. 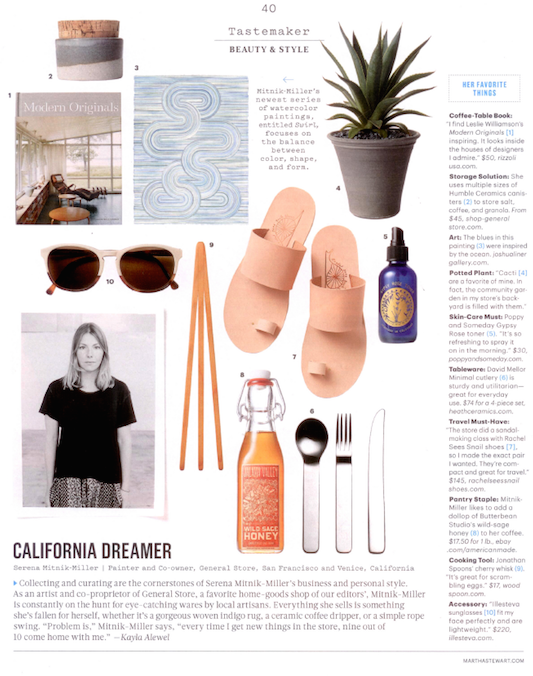 Eclectic artist, designer, and all-round creative Serena Mitnik-Miller is featured in the June issue of Martha Stewart Living. Serena shares her personal favorites from General Store and the recent work exhibited in her January, 2015 show with the gallery S W I R L. Click the image to enjoy the feature!